If you have a business where you are delivering merchandise across the country, you likely have a tractor-trailer unit, and sometimes the trailer will need to have repairs. This is where you put all of the merchandise that you are going to haul, and there are many problems that can arise. You can have difficulties with your trailer breaks, trailer lights, or the brake shoes could actually get frozen to the drums. Flat tires are common, as well as difficulties with your suspension, all of which must be repaired before you can haul your merchandise to another location. 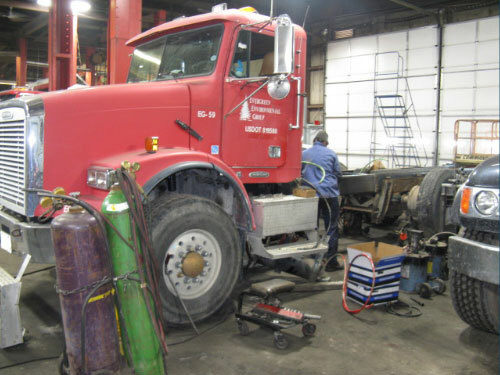 You need to work with a company that is well aware of all of the problems that can arise on tractor-trailers, and how to fix them quickly, which is why many people in Middlesex County trust the reliable services of Ultimate Automotive, Truck & Equipment. What Repairs Do They Do? Since this company also specializes in truck and fleet repair services, they will likely be able to repair any problem that you are having. They use only ASE certified mechanics, and if you do have a fleet of vehicles, they can do regular maintenance to make sure that you are always able to do your job. They can do repairs on water, fuel, chemical, and even heated asphalt trailers that are having problems. You may have container, cargo, or van trailers that are having substantial difficulties, all of which can be resolved by this company. With a combined experience of over 150 years between all of their employees, there is very little that they have not seen. Additionally, they can also provide routine inspections to make sure that it is always running as it should, and that small problems can be fixed before they get out of hand. Operating out of Cromwell in Connecticut, they are well-known for all of the services that they provide for not only trucks but also cars. They have been providing the service since the 1990s, and since that time, they have developed a very positive reputation. If you do have a fleet of vehicles, they can actually reduce your overall cost of operating by making repairs and DOT inspections regularly. Whether you are driving a regular car, truck, or if you offer a local shuttle service, there is no vehicle that they will not be able to repair. To show you why you should consider working with this company, you should know that they offer a multitude of services including complete engine analyses. They can diagnose and repair problems with your electrical system, which is sometimes necessary with tractor-trailers. They can ensure that your wheel alignment is proper, and that your brakes are working, plus check on your suspension and steering. There computer diagnostics team will be able to identify any problems with your vehicle, and they can also do the same with looking at how your semitruck is connecting with your trailer in the back both physically and electronically. If you feel that it is time to look at different trailer repair options, you should consider contacting Ultimate Automotive, Truck & Equipment today. 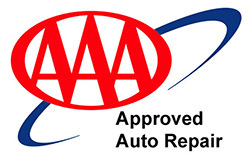 This full-service company also offers a 24 month or 24,000 mile warranty on all of the services that they provide. This will cover both the labor and the parts that are used in case they have somehow made a mistake. Due to the competency of this business, you won’t have to worry about exercising this guarantee because once they are done, your trade the repairs will be complete. Give them a call today or set an appointment using their handy online scheduling page on their website so that you can get started. They will be ready and willing to help you with any problems that you have, offering the best deals on trailer repairs.